The eagles were still showing very nicely. As you can see, no snow. It was a very mild day again. 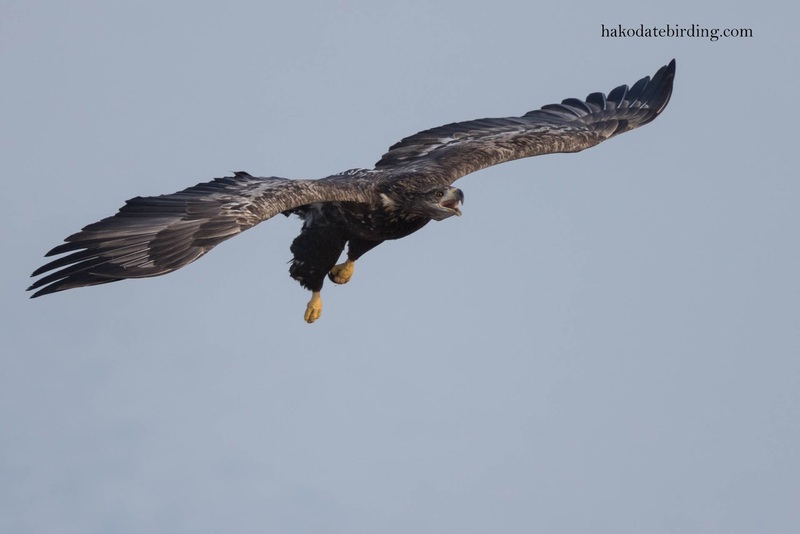 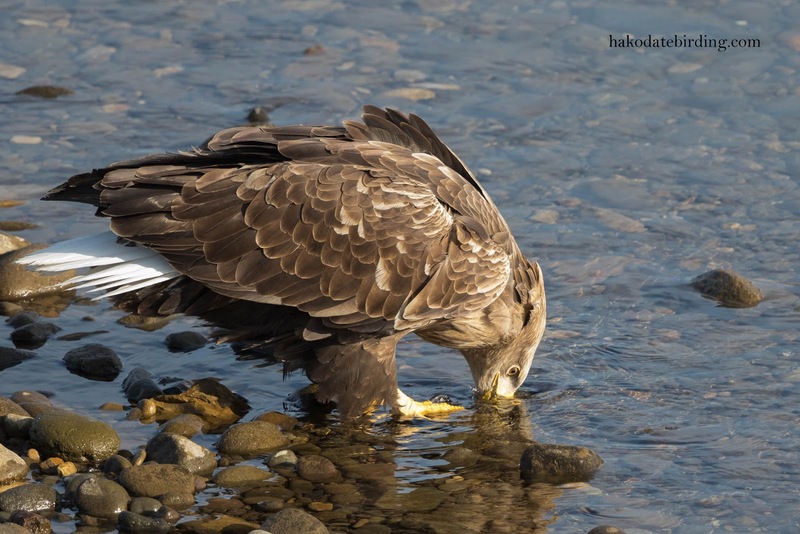 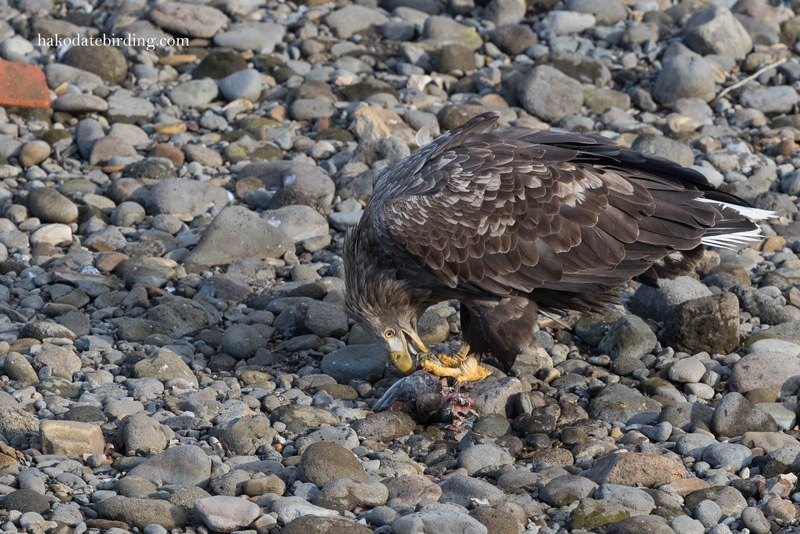 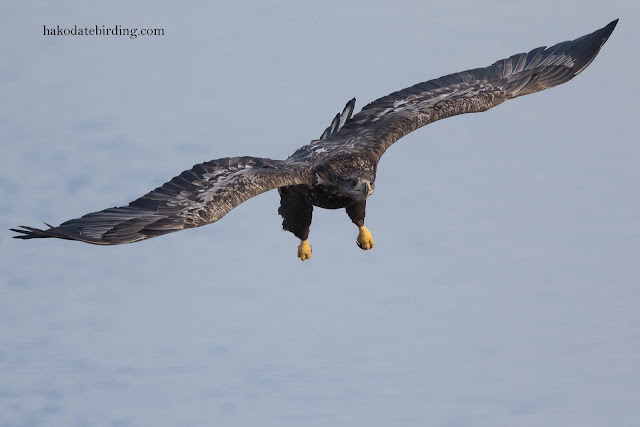 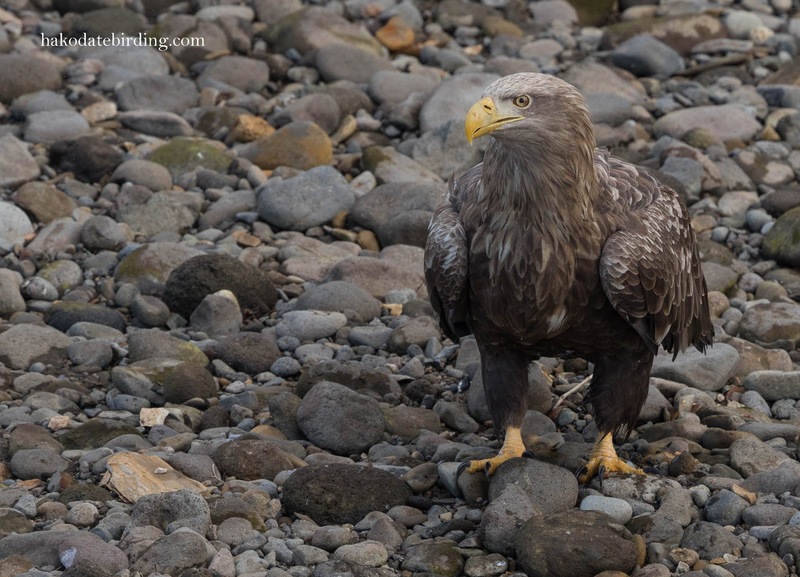 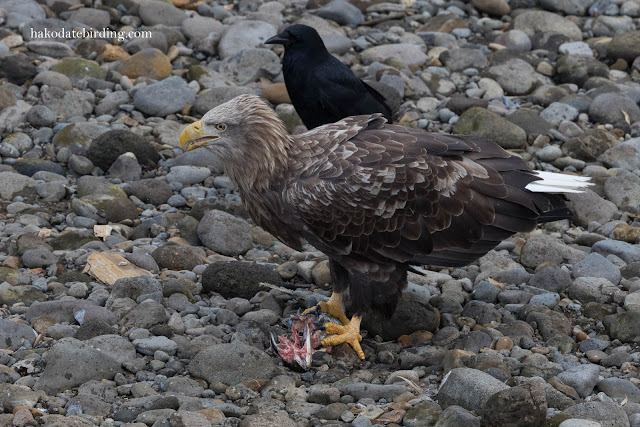 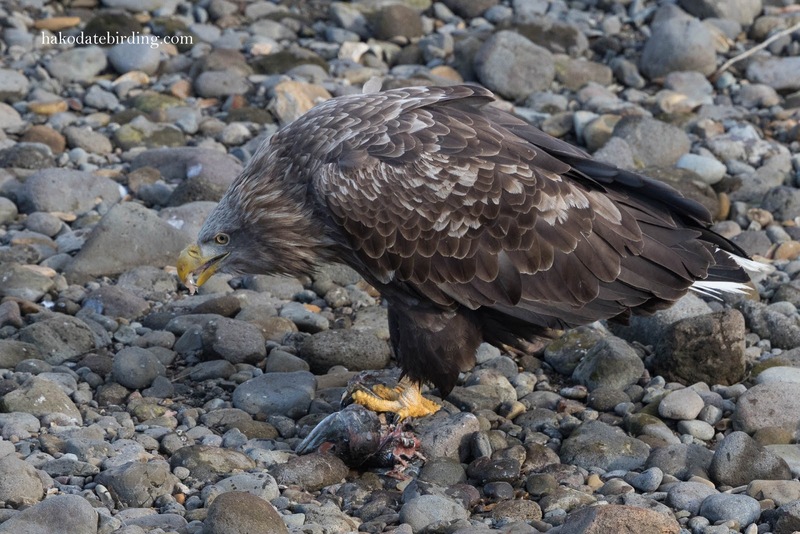 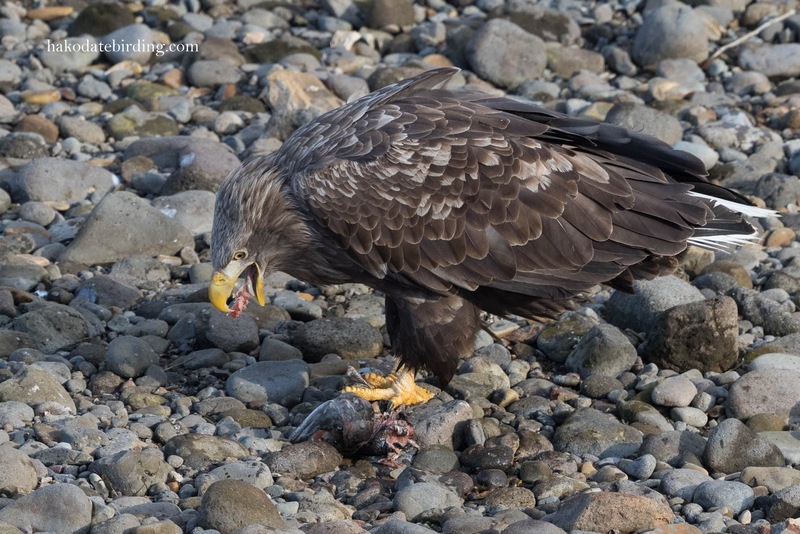 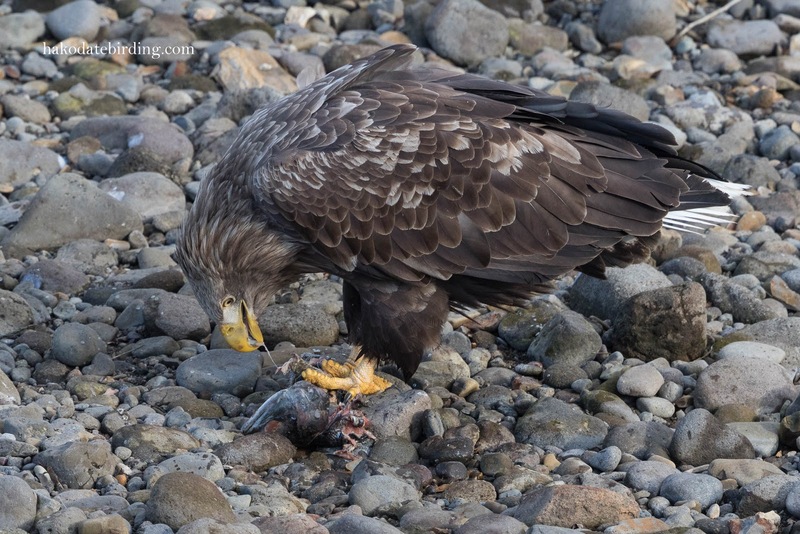 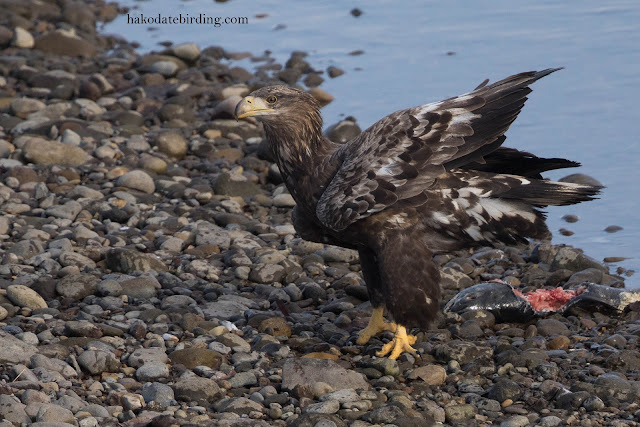 An interesting series of the White-tailed Eagle. 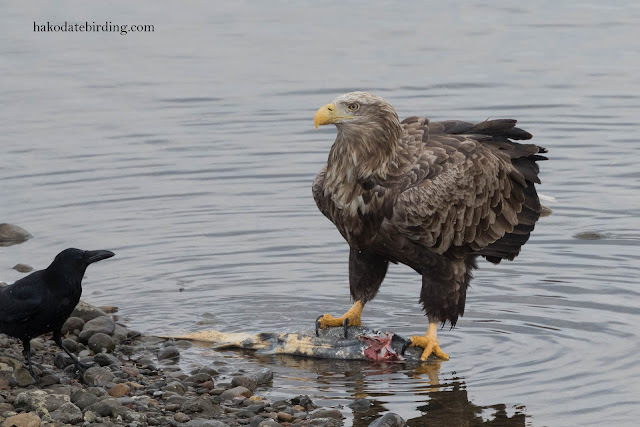 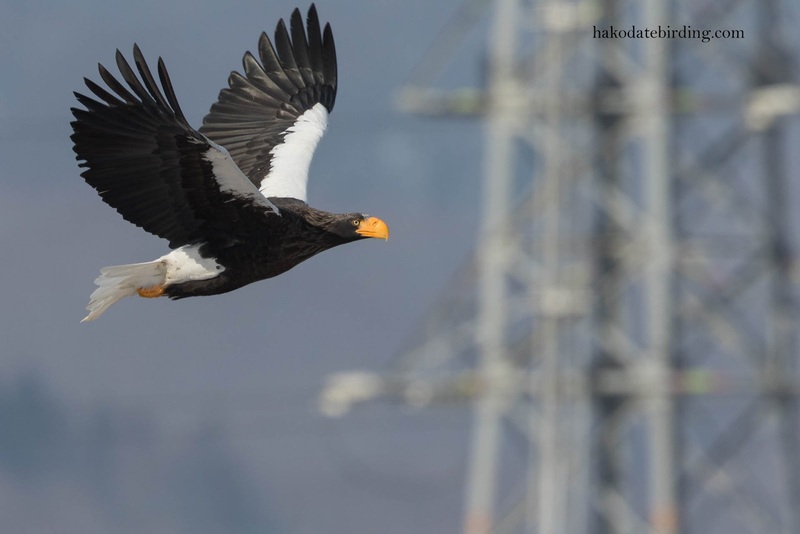 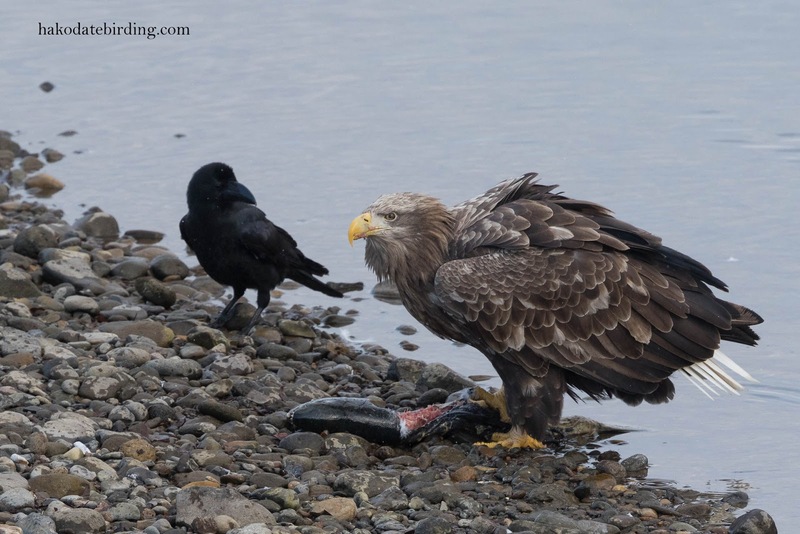 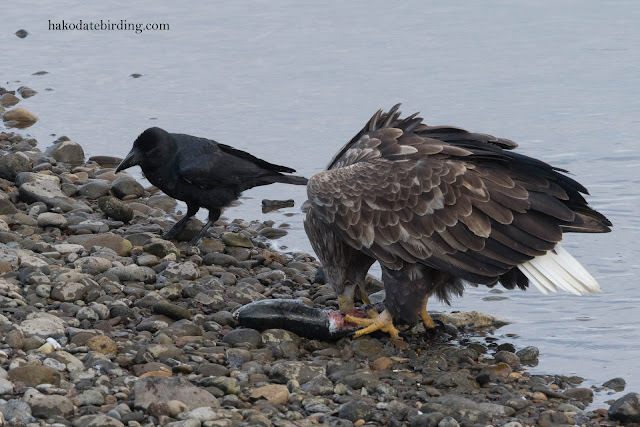 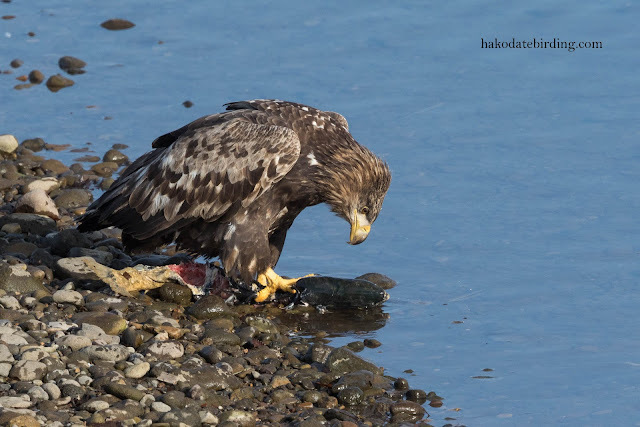 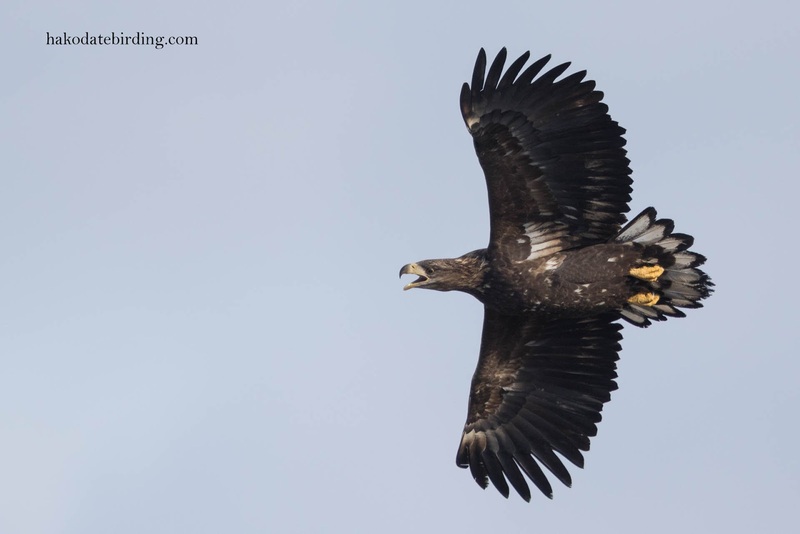 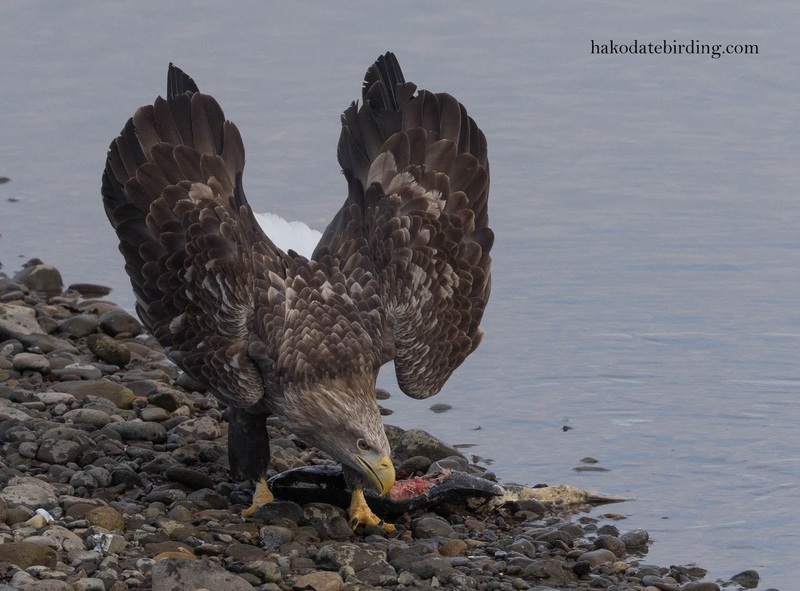 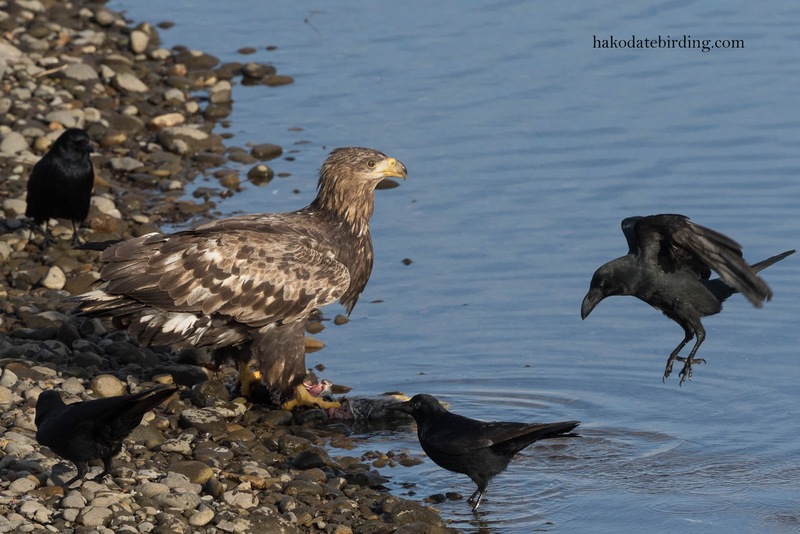 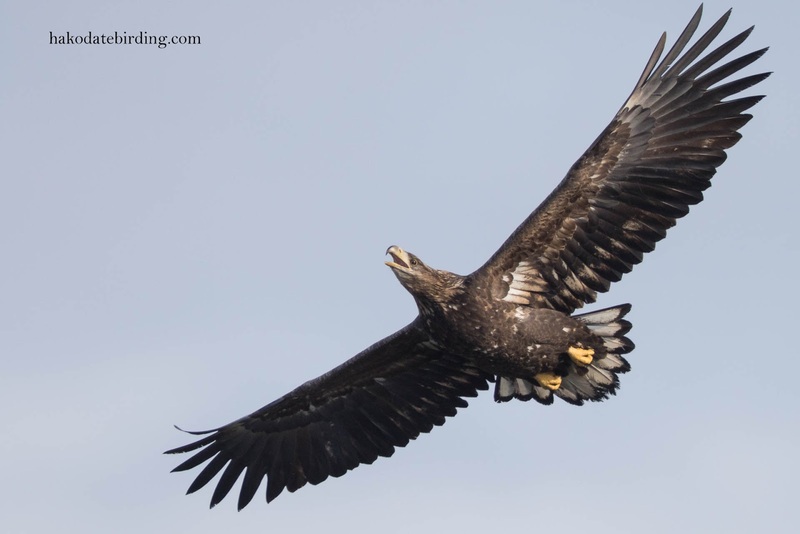 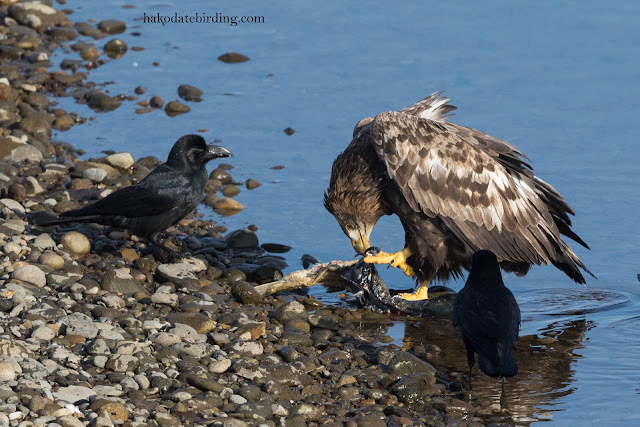 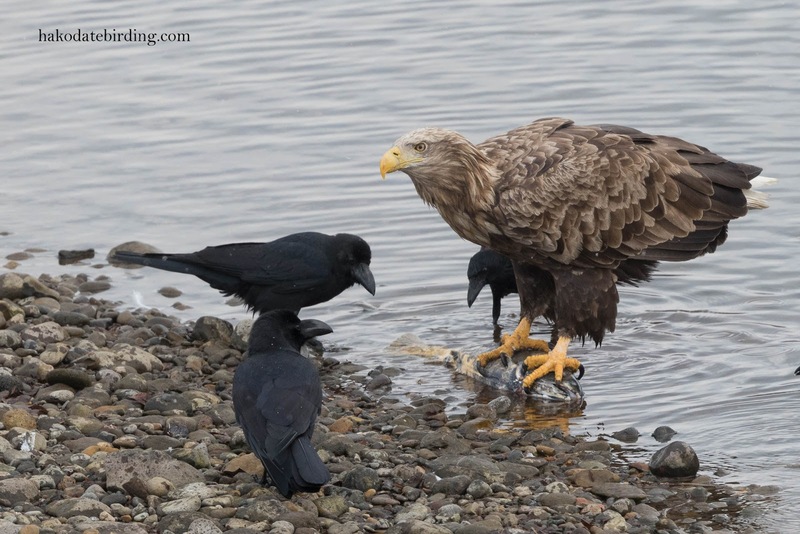 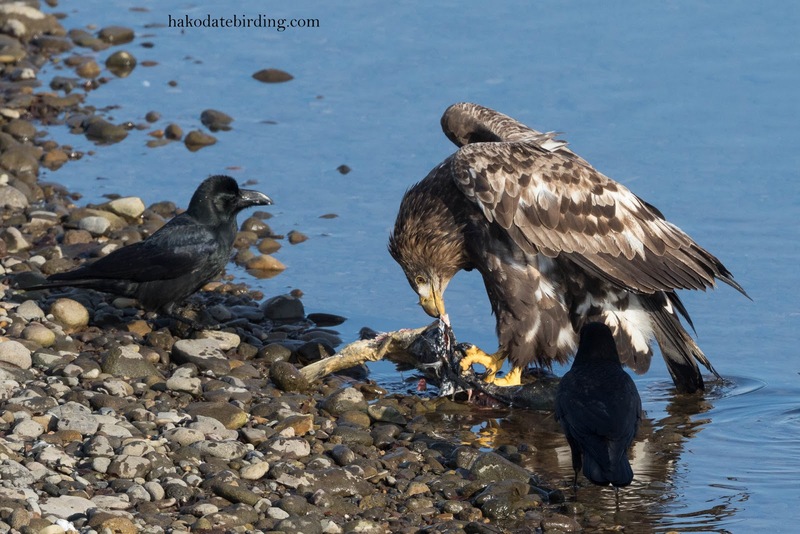 You know sometimes the preferences we have are pretty marginal..maybe you like the White-tailed Eagles 100 on a scale of 1 to 100, and the Steller's Fish Eagles 99.9. 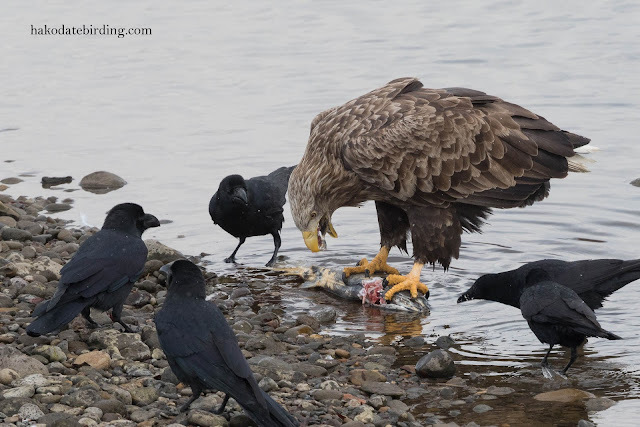 It's hard for someone who has never seen them to fail be impressed.